L. Pomponius L.f. M.n. Molo struck coins in 97 BC. He is not otherwise known. Gens Pomponia was a plebeian family at Rome. Its members appear throughout the history of the Roman Republic, and into imperial times. The first of the gens to achieve prominence was Marcus Pomponius, tribune of the plebs in 449 BC; the first who obtained the consulship was Manius Pomponius Matho in 233 BC. 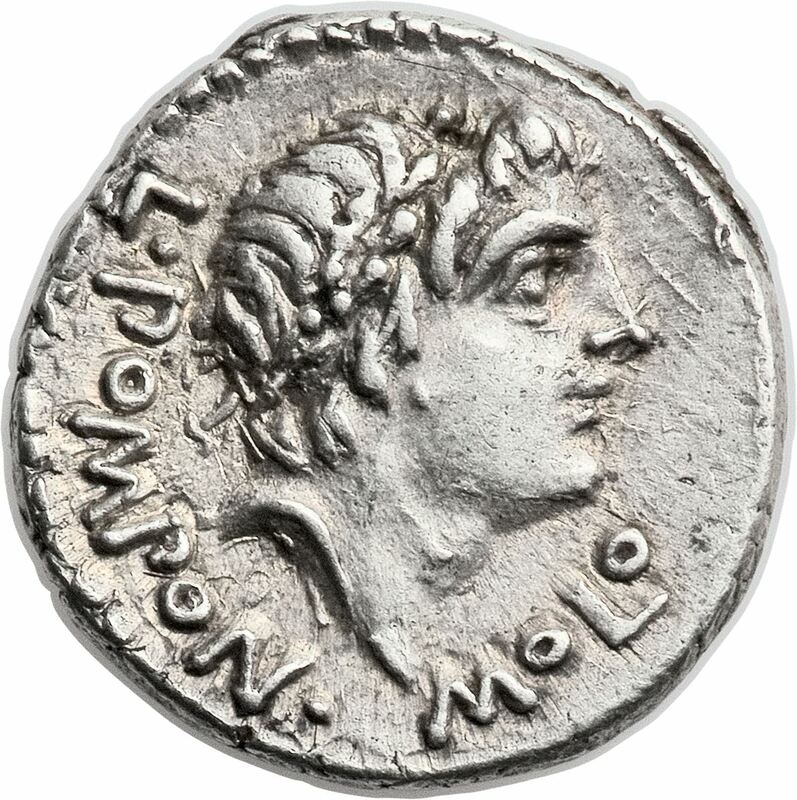 The cognomen Molo is known only from coins, and seems to be solely used by gens Pomponia.